Chandrashekhar and Shankararanya Acharya, these two along with Govindananda and Devananda, and Gopal Guru Goswami, are the five branches of the tree of Srila Vakreshwar Pandit. Wonderful indeed are their qualities. Sri Gopala Guru Goswami was a disciple of Sri Vakreshwara Pandit. From early childhood, he stayed with Vakreshwara Pandit and remained under his care and guidance. Sriman Mahaprabhu was always very affectionate towards him and played many jokes on him. Under the authority of Sri Svarupa Damodara and Raghunatha Dasa Goswami, he was instructed in the theology of rasa and attained expertise in the rasik principles. Srila Gopal Guru was born in a family of Oriya brahmins. His father’s name was Murari Pandit. His parents named him Makaradhvaja Pandit. It is said that by the mercy of Mahaprabhu’s servant Govinda, Makaradhvaja was able to render personal service to Mahaprabhu. Mahaprabhu used to affectionately call the boy “Gopal”. How he became known as Gopal Guru is an interesting story. 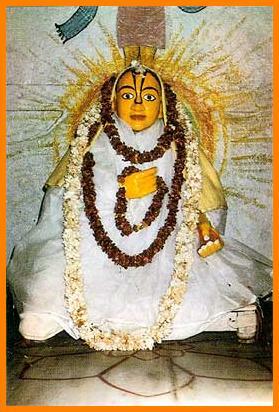 From his childhood, Gopal served Sri Chaitanya Mahaprabhu. It is said that once, prior to Mahaprabhu’s departure from Puri, Gopal happened to notice that while the Lord was going to answer a call of nature that he held his tongue between his teeth. Devotees far and wide spoke about this incident and the glories of the young boy whom Sri Chaitanya titled, “guru”. When Abhiram Thakur heard about it, he decided to come to Puri to test Gopal. Abhiram Thakur was a powerful associate of Lord Nityananda. It was said whenever he offered obeisance to a deity that was not genuine the deity’s head would shatter into pieces. In this way, by the strength of his obeisance, Abhiram had previously eliminated all of the offspring of Lord Nityananda except Ganga Devi and Virabhadra Prabhu. When Gopal heard that Abhiram was on his way to meet him, he became frightened and ran and took shelter in the lap of Mahaprabhu. The Lord placed his foot on Gopal’s head, thereby marking a tilaka mark on the boy’s forehead depicting the foot­print of the Lord. By the strength of that blessing, when Abhiram Thakur offered his obeisance to him, Gopal was unaffected. According to some, Gopal Guru Goswami was the gopi known as Tungavidya Sakhi, one of the ashta-sakhis in Goloka. According to a local tradition at the Gambhira in Puri, a deity of Sri Sri Radhakant installed there had been captured from a South Indian king during one of the military campaigns of Maharaja Purushottam Dev, the father of Prataparudra. 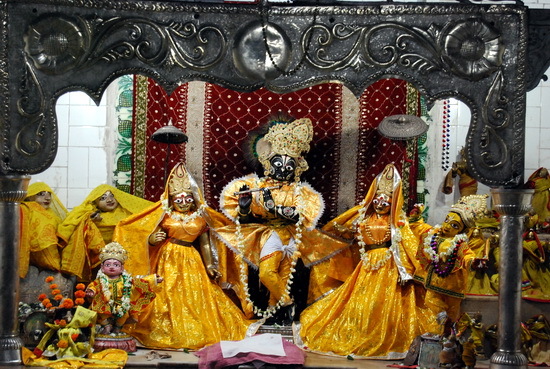 Raja Purushottam Dev gifted the deities to his family priest, the father of Kashi Mishra. The worship was later passed on to Kashi Mishra, who served as the priest of Maharaja Prataparudra. After the disappearance of Sri Chaitanya Mahaprabhu, Vakreshwar Pandit took up residence in the Gambhira and received the service of Sri Sri Radhakant from Kashi Mishra. Before Vakreshwar Pandit’s departure, he turned over the service to his dear disciple Gopal Guru Goswami. From 1538 to 1548 AD, Gopal was in charge of the service of Sri Radhakanta. During that period the temple was thoroughly renovated. Under the order of Gopal Guru, four additional deities — of Sri Radha, Lalita, Nityananda Prabhu, and Lord Gauranga were also installed there. A festival is held every year at the temple on the twelfth day of the bright fortnight of the month of Magh. This is the day Gopal Guru became the mahant and took over the service of the deities. It is believed that on this day Gopal Guru appears for a short time on one side of Mahaprabhu’s seat. In his old age Gopal Guru became concerned about who continue the service for Sri Radhakant after his disappearance. One night he had a dream in which Lord Krishna told him, “Don’t worry. I’ve arranged for a sevak to continue the service. He will be the first person you meet tomorrow”. That morning, Gopal Guru woke up and after performing his morning duties went outside. There he found an effulgent young brahmin who had been waiting at his doorstep to see him. Gopal Guru gave him mantra initiation and the name Sri Dhyanachandra and designated him to take over the deity service upon Gopal Guru’s departure from this world. According to the local tradition, the king of Puri was annoyed that the service of Radhakant was to be transferred without his approval. So when the news reached him that Gopal Guru had passed away, he sent soldiers to take over the temple. Meanwhile, Dhyanachandra was escorting the body of his guru to the funeral pyre at Swargadwar in Puri. When he heard about the king’s action, he grabbed his guru maharaja’s feet and began crying and pleading for Gopal Guru’s help. Suddenly, Gopal Guru rose up from the palanquin and led a sankirtan procession of ecstatic devotees back to the Gambhira, where he reclaimed the service of Sri Radhakant. After this, Gopal Guru is said to have remained at the Gambhira during the reign of the next three kings. Then he again turned over the service of Radhakant to Dhyanachandra Goswami and left his body on the ninth day of the dark fortnight in the month of Kartika. The next year when a group of devotees came from Vraja to attend the Puri Ratha yatra, they told Dhyanachandra — “Gopal Guru is doing his bhajan near Vamsivat in Vrindavan.” Astonished to hear this news, Dhyanachandra went the entire distance to Vraja on foot. Upon arrival, he found his guru sitting under a tree chanting japa. “Guru Maharaja, how is it possible?” Dhyanachandra asked. “You left your body in Puri!” Gopal Guru looked at his disciple and lightly rebuked him, “Don’t you understand the transcendental nature of Vrindavan Dham?” Dhyanachandra began to weep in simultaneous happiness and distress, “Baba, we can’t tolerate your separation. Please come back.” Gopal Guru told him, “I will not return this time. But when you arrive back in Puri, go to Siddha Bakul where Haridas Thakur did his bhajan. There you will find an old neem tree. Have a deity made of me from that tree. When you offer bhoga to Radhakant, place that deity in front of the Lord. Through that deity you will continue to have my darshan”. To this day that deity of Gopal Guru can be seen sitting on an asana near the doorway of the temple of Sri Radhakant. Gopal Guru Goswami and his disciple Dhyanachandra both wrote books named Sri Gaura-govinda-archana-smaran-paddhati. 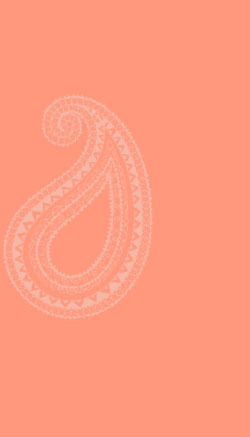 Therein they have outlined the particular style of worship established by Gopal Guru Goswami. Later, these books were combined together and provide the basis for the worship conducted by some of the followers of Sri Chaitanya. Srila Gopal Guru Goswami Maharaj ki Jai !